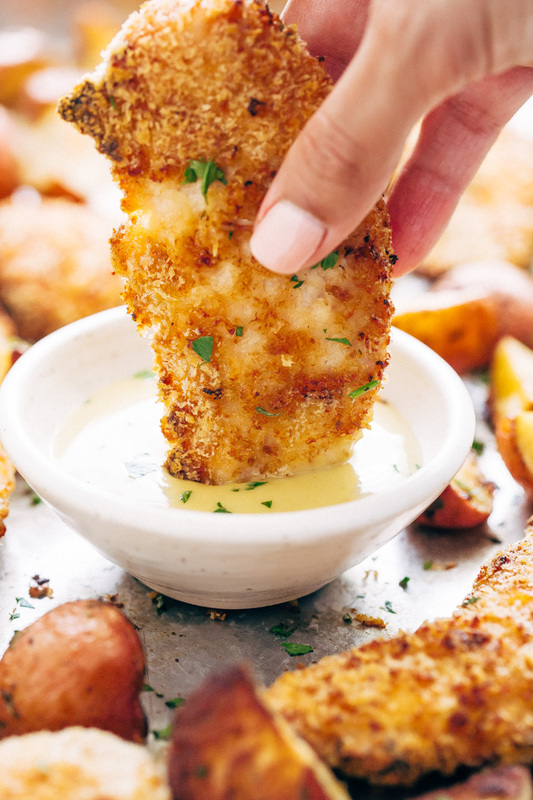 Crunchy Chipotle Ranch Chicken Tenders with roasted potatoes is a simple dinner with just seven simple ingredients. This meal is sure to make the whole family happy! Guys! Monday’s are all about the chipotle ranch chicken and pota-ters. 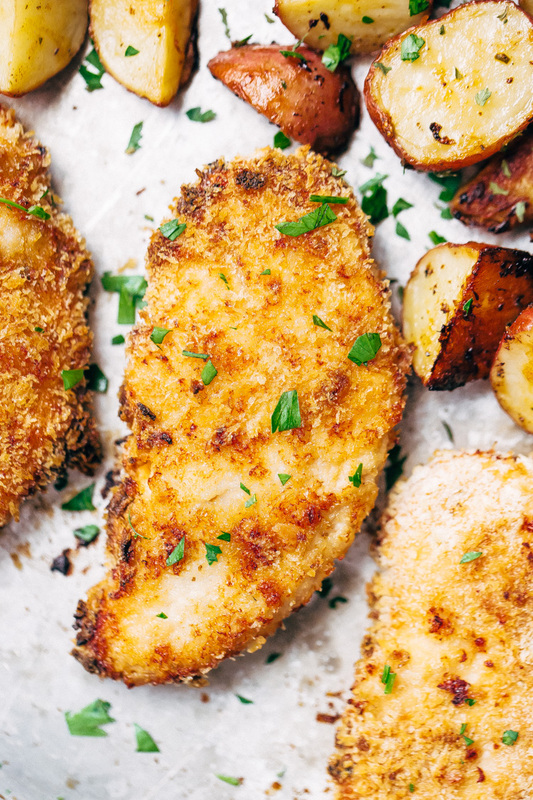 Juicy, spicy ranch chicken tenders on the inside, crispy, crunchy golden panko coating on the outside served with roasted potatoes. We’ll also add a small heap of a salad because we’re still adults and can’t justify chicken tenders and potatoes as a meal without a little something green on our plates, and because you ate a salad, you win a little honey mustard dressing because the child inside of us loves chicken tenders dipped in that delicious golden nectar. Gah! You’re going to make the whole family wappy-happy with this one. We’re packing up and heading to hubby’s hometown (Toronto) here in the next few days. And friends, if you know anything about me, I’m 99% sure it’s the fact that I am a constant meal planner. And certainly not in the traditional sense that someone assumes when they hear the word’s ‘meal planner.’ Picture this: it’s a regular Saturday night, we’re just getting in the car to head to a restaurant to meet some friends, and yours truly has already got her order picked, down to the last bite. Through the process of elimination, she’s also narrowed down what hubby with probably choose. Because five years of marriage does that to a person; it gives you the comfort of being able to look at a menu and conclude what your s/o is most likely to order. And any trip out of Houston wouldn’t be satisfying if I didn’t spend the majority of the preceding weeks reading everything my dear friends Trip Advisor and Yelp has to offer on WHERE we’re going to eat. My taste buds like to explore all the local flavors and the fact that I have major food FOMO certainly doesn’t help the situation. must. eat. it. all. So what I’m trying to say here is, if you’re a local or if you’ve had something rave-worthy in Toronto, drop me a line! Any and all suggestions are greatly appreciated. Also, brunch is my jam and I’m currently on the hunt for a good place! Any and all suggestions are greatly appreciated. Tell me where I NEED to eat. So much love for this easy breezy meal. It starts with just a few key ingredients. Some potatoes, chicken tenders, a little ranch seasoning (you can use homemade or store-bought), real chipotle peppers in adobo, a little sour cream, and of course, a little panko. For the chicken: we’ll combine the sour cream, ranch seasoning, and chipotle peppers in a bowl. Then just dip the chicken in the mixture and dredge it in panko breadcrumbs. 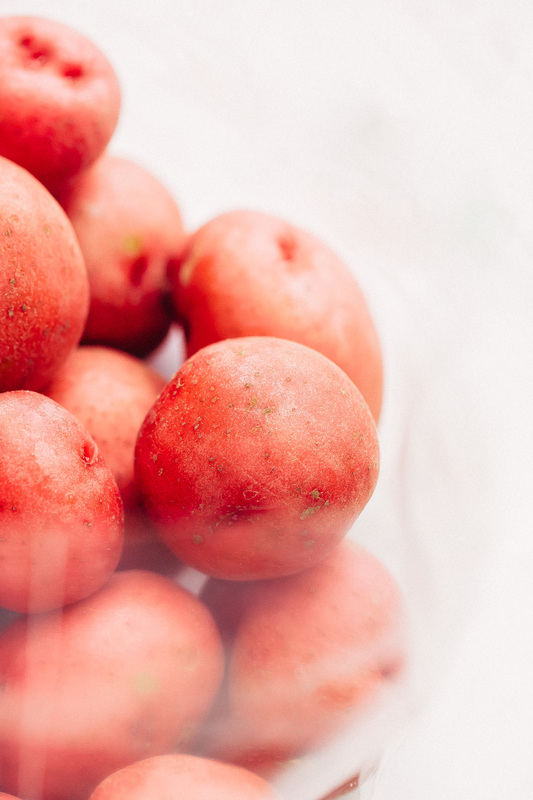 For the potatoes, in a large bowl, we’ll toss them with the seasonings, a little adobo, and oil. Throw your meal onto a sheet pans and pop it in the oven. That’s it. I like to bake the chicken and potatoes on two separate baking sheets so that they both crisp up and don’t end up steaming. Other than that you can blanch some green beans, broccoli, or asparagus and if you’re like me, a pre-made crisp romaine salad is the perfect side. Hot and crispy out of the oven. 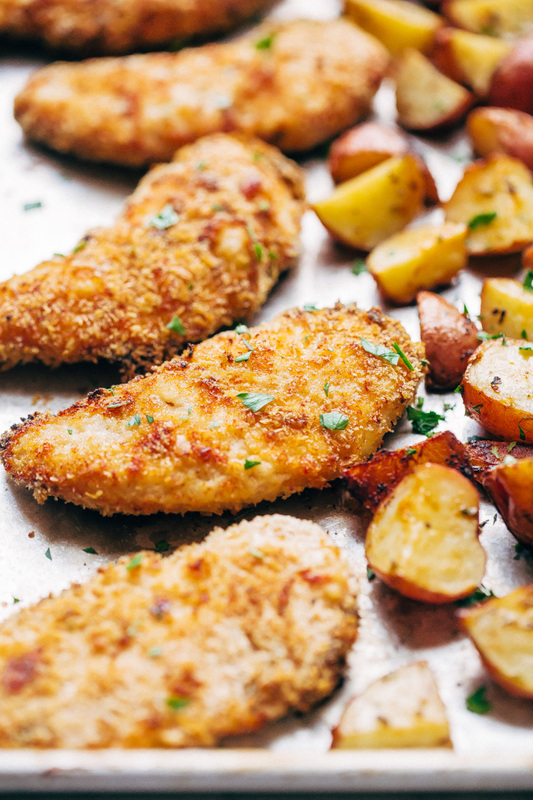 Chipotle ranch chicken tenders and roasted potatoes are the right way to kick off the week! 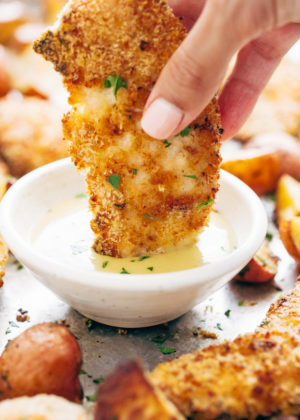 Crunchy Chipotle Ranch Chicken Tenders with roasted potatoes is a simple dinner with just 7 simple ingredients. This meal is sure to make the whole family happy! Position two racks near the center of the oven and preheat the oven to 425ºF. Line one of the baking sheets with parchment paper. Spray the other baking sheet with just a little cooking spray, set aside. chicken: mince the chipotle pepper. One pepper will yield a mild flavor, two will make it spicy. Add the chipotle peppers, 1 tablespoon of adobo sauce, and 2 tablespoons of ranch seasoning to a medium bowl with the sour cream and whisk to combine. Place the panko in a shallow baking dish. 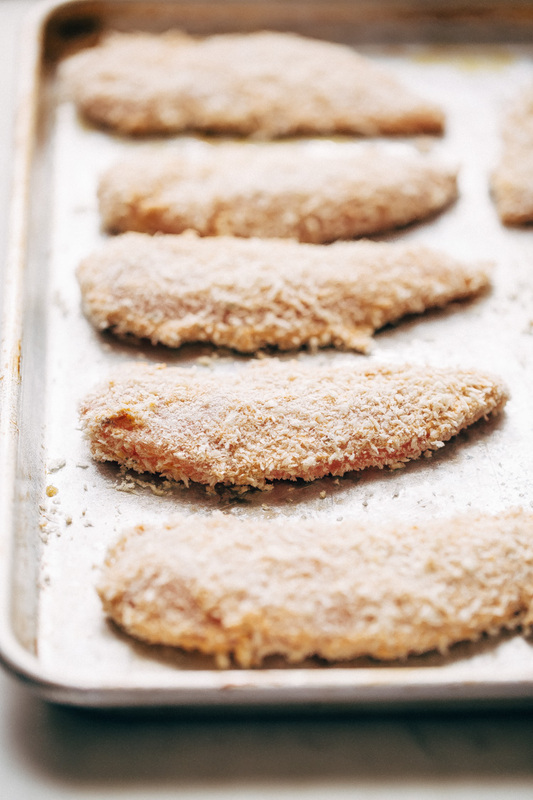 Dip each of the chicken tenders in the sour cream mixture, then dredge in the panko and place the tenders on the parchment lined baking sheet. Spray the chicken with cooking spray, this will help crisp up the breadcrumbs. 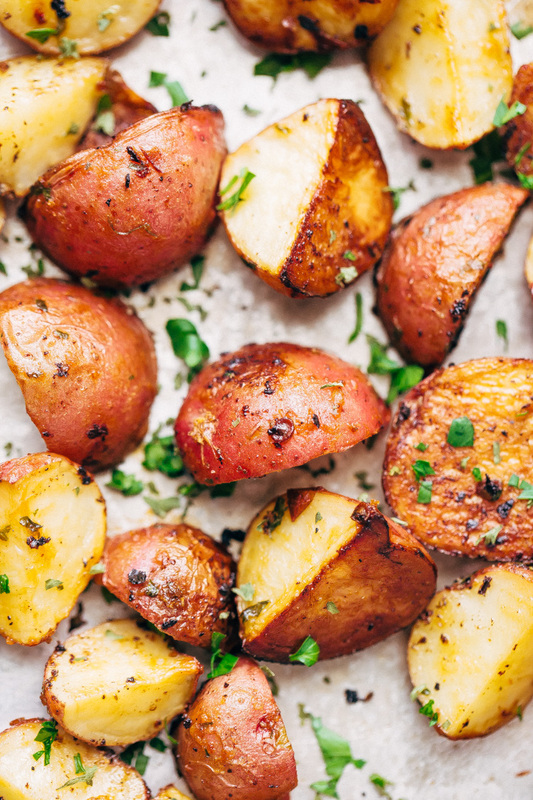 potatoes: place the quartered potatoes in a large bowl, drizzle with 2 tablespoons of oil, 2 tablespoons of ranch seasoning, and 1 tablespoon of adobo sauce. Toss to combine. Spread the potatoes out onto the other baking sheet. bake: bake the chicken and potatoes for 16- 20 minutes carefully flipping halfway through. When you flip the chicken, be sure to spray the other side with cooking spray as well. The chicken is done when the inside temperature reads 165ºF . 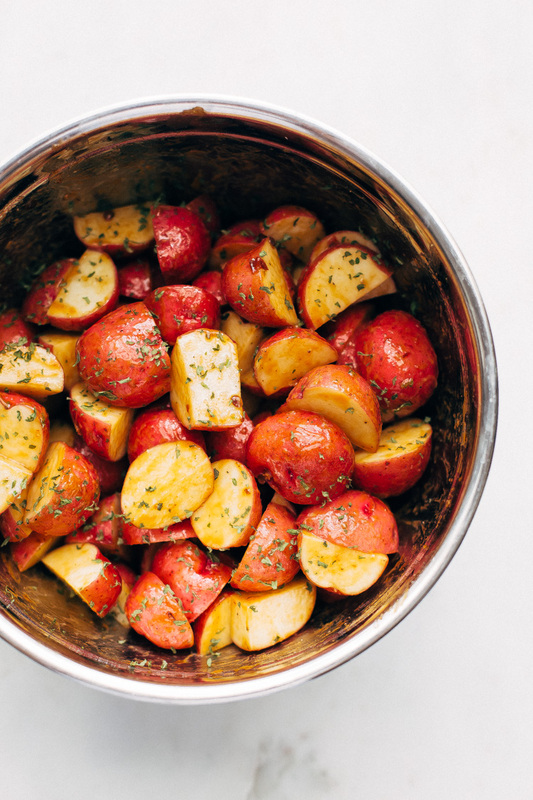 Depending on the size of the potatoes, they may require a few extra minutes in the oven. Mine were done in 20 minutes along with the chicken. 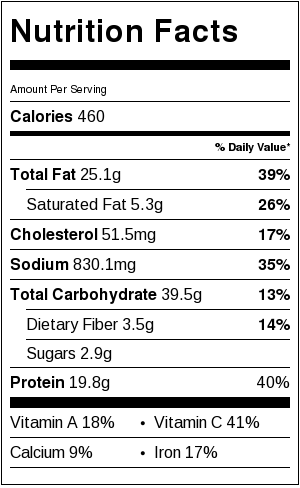 a 1-ounce packet of ranch seasoning usually contains about 2 1/2 tablespoons. To make the dipping sauce just combine: 2 tablespoons honey + 2 tablespoons BBQ sauce (I used Kraft’s Honey Hickory Smoked) + 1/4 cup mayonnaise + 1 tablespoon yellow mustard + 1/2 tablespoon sriracha sauce. Stir and serve!